Unfortunately, your registration has been declined by the auctioneer. You can contact the auctioneer on +44 (0)1353 653020 for more information. 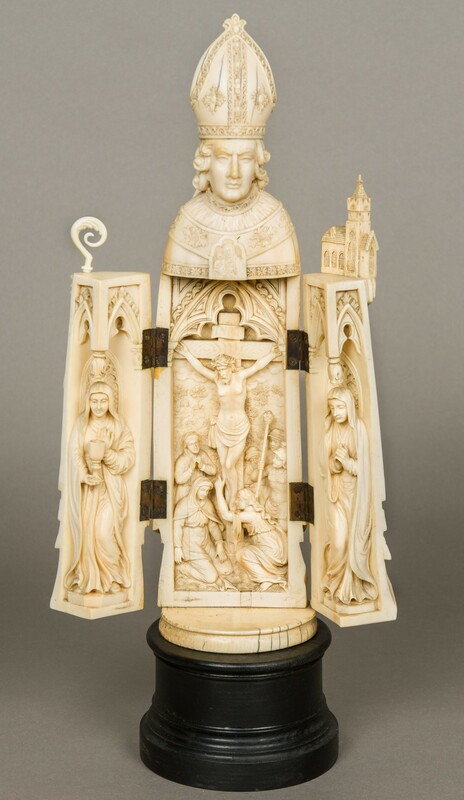 A large early 19th century Dieppe carved ivory triptychFormed as a bishop enclosing a scene of figures before Christ on the cross, flanked by two female figures, one praying, the other holding a chalice, mounted on a later detachable wooden plinth base. 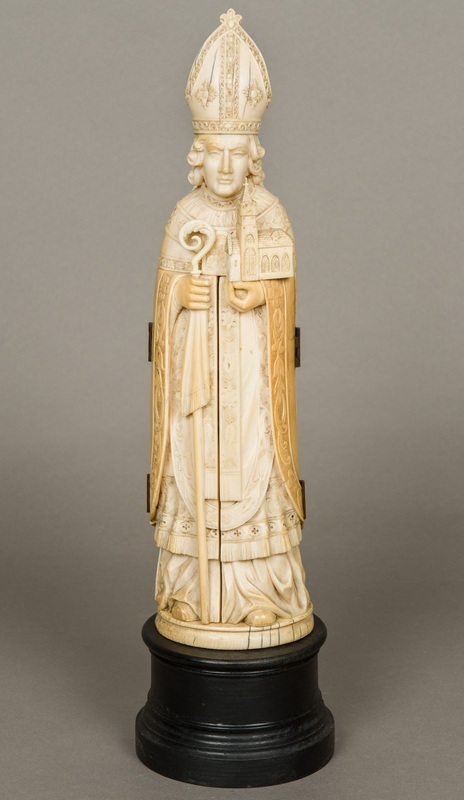 42.5 cm high overall. CONDITION REPORTS: Some staining, some splits, top of crozier loose and possibly replaced, hole to interior of bishops mitre, general wear. We highly recommend successful purchasers use the services of a reputable professional carrier for packing who will provide prompt quotations and collection from Rowley’s for cartage to national and international locations. Alban Shipping. Telephone +44 (0)1582 490147.